Well, this brings a smile to my face - and a rumble to my belly. Three humble years after launching a wee four-wheeler slinging their rich battered, pearl sugar-crystalized waffles, the Waffles de Liege gents are going brick and mortar. Sometime late this month or early July, they will be opening the doors to their Belgian waffling domicile at 21 East Holly Street in the heart of Old Pasadena. 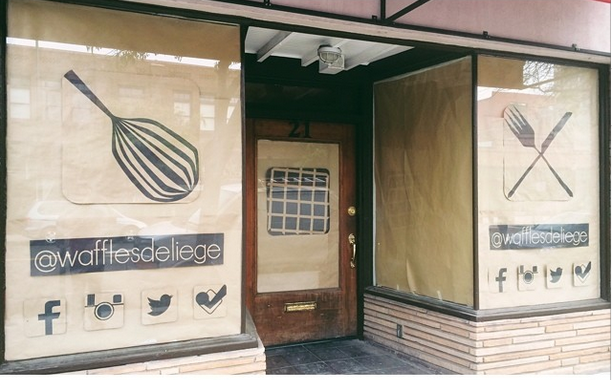 In a possible ironic sign of the times, the gourmet waffle spot is opening in the former home of a gourmet cupcakery. Since every sweet under the sun has had its "the next cupcake" fifteen minutes, why can't liege waffles be the new hip dessert? They've already got a cool accent.